Everyone likes a good deal! 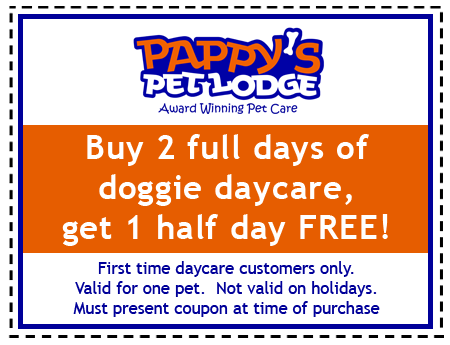 Check out these promotions, packages, and coupons for Pappy’s Pet Lodge. 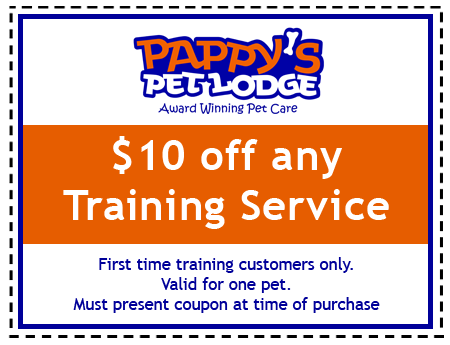 We have offers for every service: Lodging, Dog Daycare, Dog Grooming, Dog Training, At Home Pet Sitting, Boarding, and more! 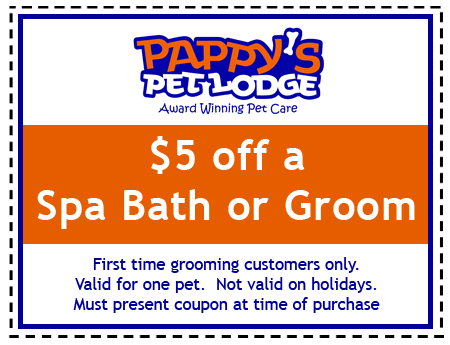 Check the EVENT PAGE to see local events coming up – Pappy’s always has fantastic giveaways and coupons when sponsoring a booth at an event. We also host a low cost vaccination clinic at two locations, which will help you save some money on required vaccinations. 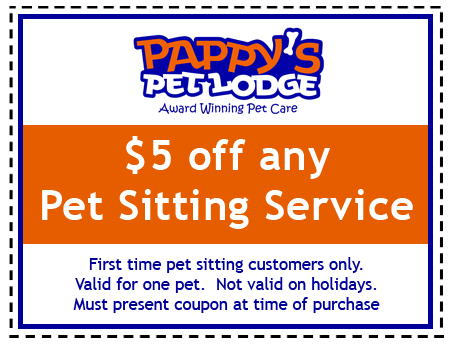 Speak to a customer service representative to receive a custom lodging package based on your pet(s) and quantity.